Ever exerted so much effort in marketing a webinar and still not reach the target number of registrants? If you answered yes, you may have overdone your registration page, marketed in a way that might have put off potential registrants, or overlooked some of the webinar registration page best practices. Truth is, even if you have great content in store, it’s going to be a waste of effort if you don’t get a good number of potential sales leads to click the register button. Don’t let that happen by putting some thought into creating a webinar registration page that actually works. A mistake that some webinar hosts are guilty of is listing down never-ending “core benefits” on their registration page. And that’s just wrong! While a broad list of benefits can touch a wider scope of audience, majority of the items on that list may be less appealing and irrelevant to the general audience, which could drive a high bounce rate. Instead, write a short, specific list of core benefits in bullet points to invite people to actually read it, attract a more targeted audience, and help them make informed decisions about registering for your webinar. The registration form and CTA button are the most important components of a registration page. Unlike email invitations where CTAs are typically located at the bottom, it is better for a registration page to display the registration form with the CTA button where it would be most visible – the top of a webpage and beside the short introduction of the webinar are the two most common. There are a couple of things to consider when scheduling international webinars, like time zone differences. Easily avoid confusion by clearly indicating the different time zone equivalent of the schedule of your webinar. You could also add a time difference calculator directly on your registration page or simply link out to a reliable online time zone converter. You can also add value to your webinar by hiring an expert to speak on your web event and incorporating the speaker’s credentials to your webinar registration page. 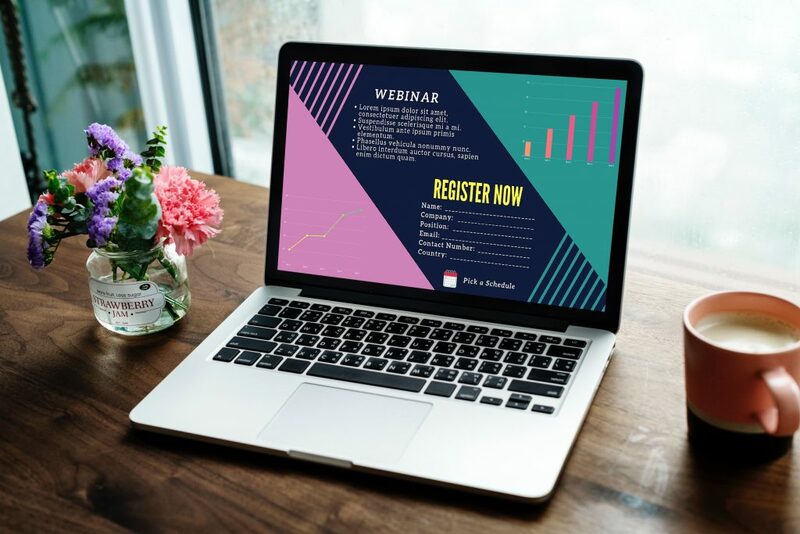 An influential speaker or someone from a well-known organization can give your webinar a definite edge against your competitors and generally elevate your online event to a higher level. Include a brief introduction of the speaker at the bottom of your registration page. This way, you would build trust with potential registrants that your hour-long event will be worth their time. Finally, your registration system should send out an automated email confirmation immediately after a registrant completes the registration process, along with email notifications or reminders leading up to the day of the webinar. Suffice it to say, the success of a webinar can initially be measured by how many people registered for the live event. Remember, you are setting the audience’s expectation on the registration page. Don’t give them any wrong ideas. Avoid building a bait-like registration page to steer clear of any negative feedback after-the-fact. A registration page can make or break a webinar, so it requires a well thought out execution. How to Make Sure Your Conference Calls Are Secure and No One is Eavesdropping What Makes a Webinar an Invaluable Marketing Tool?